As a public service, and with tongue planted firmly in cheek, Maureen Bottrell gave the Red Circle some advice on getting away with murder. Behind the humor is Maureen's assurance that real criminals routinely make the kinds of blunders that inspired this list. 1. Know your victim (your spouse is the best choice). The reasoning here is simple: any contact between two people results in the transfer of minute trace evidence. Maybe just a hair, a speck of dust, a bit of makeup, a clothing fiber or two. With their sophisticated skills and techniques, Maureen and her colleagues are virtually certain to find these telltale traces that inevitably lead to you. But, if the victim is a family member you can simply say, "Well that stands to reason; we lived in the same house." The evidence thus becomes far less powerful. 2. Never drive down a dirt road to dispose of the body. It's so tempting to look for a secluded patch of dirt to bury the evidence. 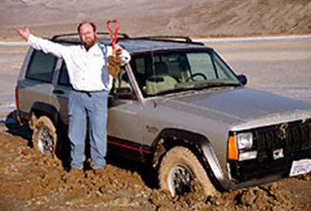 Problem is, that "perfect" burial site is often at the end of a dirt road, and the dirt left on the car. . .well, you get the idea. Oh, you washed the car? That's what you think. Maureen's department isn't called the "Trace Evidence Unit" for nothing. 3. Never recruit friends and family to help you dispose of the body. Let's face it, friends and family are chronically unreliable for this important task. They tend to get nervous and don't always do a thorough job. In their haste, they often don't dig a big enough hole. Sometimes the work is so shoddy that it doesn't even take a forensic team to uncover the evidence. Or, you may unwittingly pick a helper who's wanted for another crime. This is a capital mistake, because if your friend is arrested on another charge, guess what information he'll divulge in return for leniency. 4. It's lye, not lime! 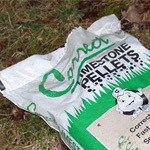 Criminals sometimes mix "garden variety" limestone pellets with the dirt when burying the body, in the belief that lime will aid decomposition. But if they'd remembered their high school chemistry they'd know that it's actually lye that can perform this important function. Lime, on the other hand, acts as a preservative. As with so many things, the devil is in the details. The Red Circle of Washington, DC gathered at the National Press Club on Friday evening, March 11, 2011. Seeking greater challenges, Sherlock Holmes famously complained to Watson that the London criminal is certainly a dull fellow. If Holmes had been with the Red Circle for its March meeting, he would have discovered that today's American criminals often match their London forbears for dim-wittedness. And he'd have been pleased to learn that the modern malefactor--whether brainless or brilliant--must face detectives whose specialized knowledge and skill usually make quick work of criminal careers. Watson reckoned that Holmes was a "practical but limited" geologist. The Red Circle's special guest for the evening, Maureen Bottrell, follows in the Master's footsteps. Well, she actually follows lots of footsteps--and promptly analyzes the evidence they hold. 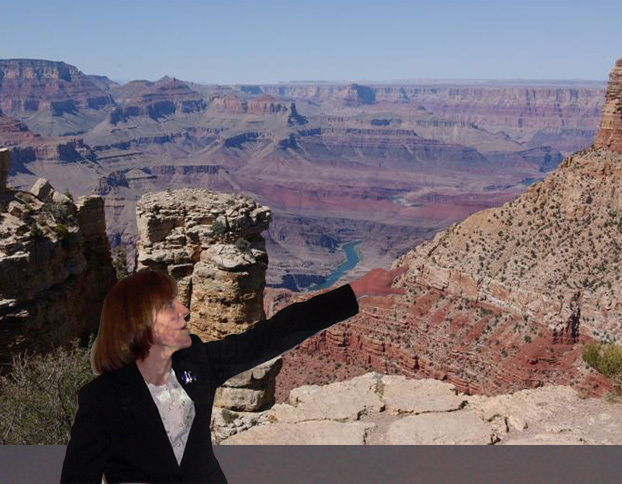 Maureen is a geologist and forensic examiner for the Federal Bureau of Investigation in Washington, and she uses geological science to help solve crimes. Holmes would be proud to have her as a colleague. 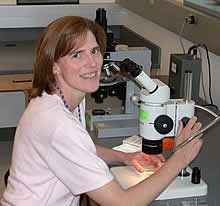 Maureen is one of only three geologists in the FBI's Trace Evidence Unit. She and her colleagues routinely analyze evidence gathered from crime scenes across the country, and around the world as well. Materials that fall under the geologists' microscopes include soil, minerals, rocks, gemstones, building materials, even glass. And when microscopes aren't up to the task, the scientists call on an array of other tools, like specialized x-ray devices. And what do the geologists look for as they examine the evidence? Maureen outlined three kinds of examinations that they commonly perform: identification of materials (what is this stuff? ); determining provenance (where did this stuff come from? ); and comparing materials to determine common origin (did these two samples come from the same place?). Naturally, a great deal of the geologists' work centers around soil, and Maureen pointed out in some detail how soil analysis can be a tricky business. 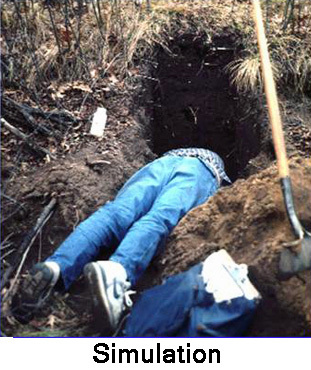 Because soil in the same location tends to be very different at different depths, a sample taken at the surface may bear little relationship to what you'll find, say, six feet under--or sixty. She emphasized how important it is for those who gather evidence at crime scenes to do a thorough job. Maureen's discussion of the typical cases she works on was at times frightening, macabre, funny and poignant, but always fascinating. Her findings frequently lead her to courtrooms around the country where she presents the facts and gives her expert opinions. What's more, many other countries with less sophisticated crime labs routinely request the FBI's help, so the geologists often find themselves dealing with cases from beyond our borders. Finally, in answer to a question about whether TV shows such as CSI bear any similarity to real life, Maureen's answer was simple and direct. . .
"I think I'm better looking!" The next meeting of the Red Circle will be held on Friday evening, June 10.